It's important to remember that when you die, your estate could be subject to inheritance tax (IHT) if it's worth more than the inheritance tax threshold. With careful planning you can reduce the amount payable. Every individual is entitled to a nil rate band, this is the amount of your estate up to the value of the nil rate threshold without incurring IHT. Where your estate is left to someone, other than your spouse or civil partner, IHT of 40% will be payable on the amount that exceeds the nil rate threshold. The inheritance tax threshold is £325,000 per person, so married couples and civil partners can have a joint estate of £650,000 before any IHT is payable. There are various ways you can reduce the size of your taxable estate, such as with lifetime gifts, trusts, charitable giving and other forms of planning. We can help you put suitable arrangements in place. If you are concerned that your estate is liable to inheritance tax we would recommend you make an appointment with one of our advisers who can help you calculate the inheritance tax payable based on your current circumstances, outlining any exemptions you may receive and take into consideration all other important factors in relation to this complex issue. We can then help to maximise your access to your wealth while reducing the amount of tax payable by your beneficiaries on your death. 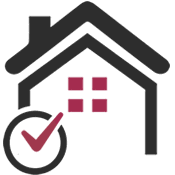 We would recommend regularly checking the value of your estate, as assets like property and investments can change considerably and your estate could move into the tax threshold without you noticing.